If you buy a gift card, it acts as credit towards ANY personal training program, including small group training, online training, and 1-on-1 training. 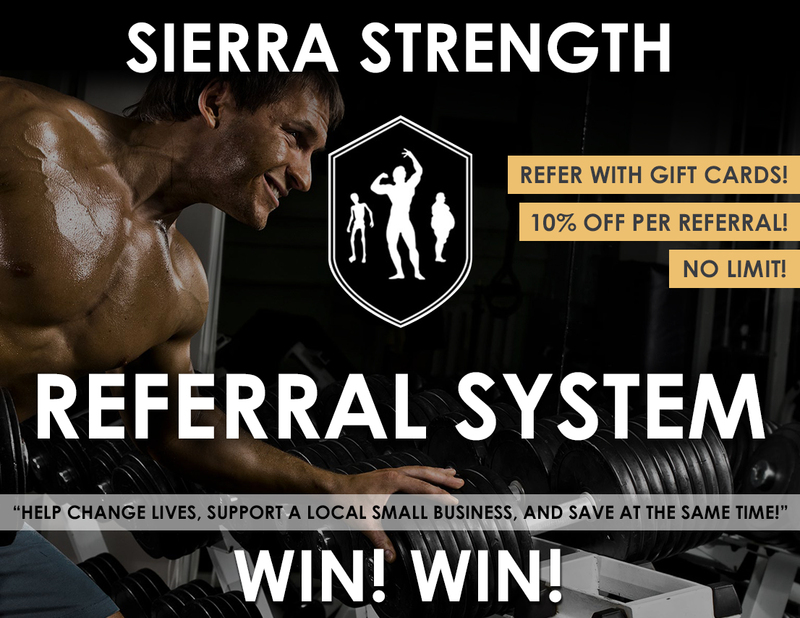 If you buy a gift card for someone, and that person becomes a client of Sierra Strength, you will receive 10% off your monthly membership, just as long as they remain a customer. Also, for each person you refer for personal training (with or without a gift card) you will receive 10% off your monthly membership as long as they remain a paying client. There’s NO limit to the amount of discount you may receive! For example, if you refer 10 people, then you will receive 100% off your membership and train for FREE! It’s a win win! Give the gift of a NASM and NESTA personal trainer today!